Salvador is served by international non-stop flights from Frankfurt (Germany), Lisbon (Portugal), Madrid (Spain), and Paris (France). From Oceania and Asia, connecting flights from Santiago Chile (SCL) to São Paulo (GRU) are a good alternative. 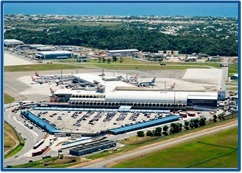 Salvador can also be easily reached by local direct flights from other major Brazilian cities that offer many international flight options, including São Paulo (Guarulhos International Airport – GRU), Rio de Janeiro (Galeão International Airport – GIG), and Brasilia (Brasilia International Airport – BSB). The Salvador airport operates under very good meteorological conditions almost throughout the year, and the Brazilian territory is fully covered by a civil and air-defense radar system – CINDACTA (Centro Integrado de Defesa Aérea e Controle de Tráfego Aéreo). All flights are monitored until the end of the Brazilian South Atlantic air control area via satellite. 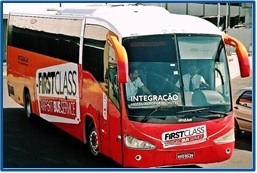 A shuttle service from the airport to the main hotel areas in Salvador is available at all flight arriving hours. A valid passport and in some cases a visa is required to travel to Brazil to citizens of countries that impose the same restriction to Brazilian citizens. For example, a visa is required for U.S. and Canadian citizens. To get more information about Visa, please visit the Wikipedia information page and them go to the official site. For further information about visa application requirements, contact your travel agent or a local Brazilian Consulate office. For an invitation letter to the conference for visa purposes, you must register yourself, then please send an email to us with the following details: full name, job position, affiliation, full address, passport number, passport expiration date, birth date and accepted paper information (if applicable).